Intimaciti: So You Think You Can Blog? Anyhoo, I knew I wanted to start blogging again but I didn't get around to it until 2015. Right after designing and setting up the blog and just when I was ready to go public, the news of Linda Ikeji buying a house on Banana Island through blogging broke and many more bloggers immediately flooded the blogosphere. Whew! I thought of backing out. 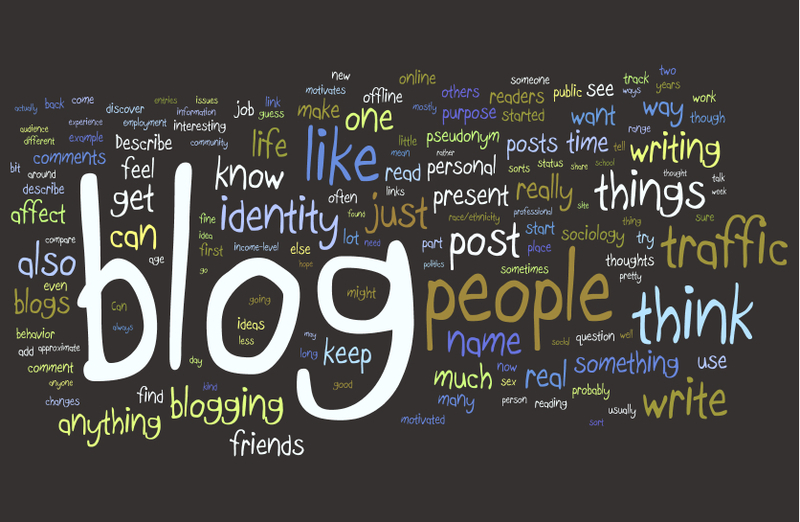 It seemed everyone I knew was suddenly blogging and I would just be one of the lot. But I remembered there was nothing worth doing that didn't come with competition and other hassles, plus I really wasn't trying to compete with anyone anyway. I just wanted to blog and have fun while at it. So I decided to dive in and finally launched the blog on the 28th of November 2015. I remember getting a mix of reactions. Some people encouraged, others made snide and outright derisive comments... about everyone blogging because of the Linda Ikeji news and wanting to get a piece of the cake. Some laughed and some others didn't even give a tiny rat's behind. LOL. Well, if you're like me and want to go ahead and blog anyway for whatever reasons, here are some of the things I've learnt so far that you might find useful. Blogging ain't about copying and pasting. Plagiarism is a crime. Plus copying and pasting the exact same thing all the other blogs/bloggers are copying and pasting as well isn't going to differentiate you from the pack. How about coming up with your own stuff for others to copy, paste and give you credit, eh? Yes, there's nothing new under the sun but old things can be paraphrased with fresh ideas or perspectives to it and made anew (and credit should be given where due). Hey, whatever gives you joy and doesn't stop you from sleeping well at night. The comments and criticisms can make or mar you... you decide. I have the priviledge of contributing posts to a much bigger and more popular blog - bellanaija.com (Click here, here and here to see my contributions) and the comments there can be pretty scathing. (It's either my readers on here really love me or they're bashing me privately. Yeeesh! Please always feel free to share your thoughts in the comments section. It's there for that reason) Anyhoo, instead of taking the comments personal, I choose to use them as stepping stones to something better. Also, I figure it's better to have the scathing comments than to have no one reading and commenting at all, yeah? LOL! If you want to put out something to the public, you gotta be ready to handle the feedback that's sure to come with it. Not everyone will agree what with what you say/write but that's okay. You're expressing your own opinion and your readers are entitled to their opinions as well. The problem is that some people are terrible at expressing opinions without going down and dirty. Their issue, not yours. Don't be surprised that your closest friends may not be fans of your blog. I know a bunch of my friends who don't read my blog (and don't even have the decency to be diplomatic about it by coming up with good or even bad excuses. Hehehe) but I don't take it personal and neither should you. Everyone is entitled to choose how they want to spend their leisure time and their internet subscription. Some people are interested in taking advantage of the publicity they can get from you, without giving you anything in return. Only a handful of them are willing and ready to pay. I read a post on Sisi Yemmie's blog with many bloggers complaining in the comment section about this. If you want to blog, be ready for such cases and don't be all hung up on making money with the blog (except if it's your full time job and only source of livelihood. What do I know anyway?). Linda Ikeji's mansion wasn't bought/built in a day. Read her story here. Be open to ideas and suggestions. 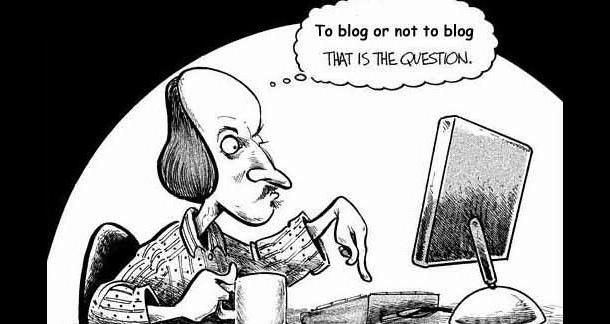 The blog isn't really for you. It's for your visitors and you're better off taking their feedback and giving them what they want. Of-course you have to sieve the rice from the chaff and go with what you think is best for you. If you've been reading this blog from the beginning times, you'll know for example that I tried to keep it pink but there were so many people who thought the pink wasn't cutting it (especially guys! What do y'all have against pink?) even after it was toned down. Oh well... I hope everyone's happy now, yes? LOL! The blog gurus say one of the keys to blog traffic is frequent posting. If you ain't copying and pasting, frequent blog posts may be one of your biggest challenges. It's difficult (but not impossible) especially when life is pulling you in different directions with work, school, family, friends etc but hey, you're welcome to try. So, off you go then! Go start that blog and be sure to share how it goes. True talk. Tried blogging in 2012 and stopped after a while. Thinking of starting again though.